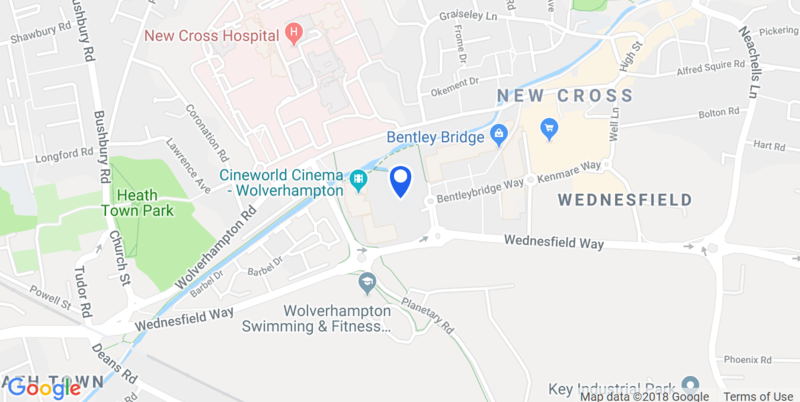 Bentley Bridge Leisure Park address: Wednesfield Way, Wednesfield, Wolverhampton, West Midlands WV11 1BP. Our car park is FREE of charge and there is no time limit on your stay. The closest train station is Wolverhampton. From here you can either get a taxi or walk for just over half an hour. You can catch the 63 or 531 buses to the Leisure Park. There are ample cycle racks on site along with free motorcycle parking.